The Samoa Cancer Society (S.C.S. ), in partnership with Ministry of Health, are co-hosting a National Palliative Care Forum starting tomorrow, at the Tanoa Tusitala Hotel. The Forum aims to help progress the development of a coordinated approach to delivering Palliative Care within Samoa. The Forum is a platform to hear perspectives from all aspects of service provision and consumers, to look at strengths and opportunities and to seek a commitment from stakeholders to establish a working group to develop and implement National Palliative Care Guidelines for Samoa. Themed “Palliative Care in Samoa: Everyone, Everywhere”, the forum also confirms that MoH recognises the need to make palliative care accessible at primary and secondary level. 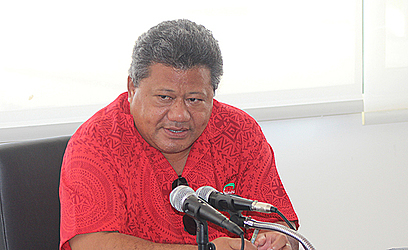 According to a press statement, the need to develop a coordinated approach to delivering care that improves the quality of life for patients and their families facing a life-limiting illness, or Palliative Care, has been discussed in Samoa since as far back as 2010. Since this time there have been various training programmes, workshops, public film screenings, commissioned reports and a great deal of discussion. For this forum, the majority of speakers are Samoan specialists from a range of areas including doctors and nurses from N.H.S., representatives from Samoa Cancer Society and Mapuifagalele Home for the Elderly as well as family members who have cared for loved ones who died at home. They will be joined by a small number of overseas guests with specialist knowledge and a proven commitment to progressing healthcare in Samoa, particularly in the area of palliative care, according to the statement. This work also recognises Sustainable Development Goal (S.D.G.) 3, ensuring healthy lives and promoting well-being for all at all ages, as it acknowledges that access to pain and symptom control is part of the fundamental right to health. S.C.S. has often been at the forefront of these initiatives, however it is well recognized that palliative care services should not be available only to those with a cancer diagnosis - there are many patients dying from other N.C.D.s that would also benefit from a palliative approach. This is highlighted in a statement from Leausa Dr. Take Naseri: “The need for palliative care has never been greater than now and in Samoa it continues to grow with the increase of chronic diseases and people living to an older age. C.E.O. of S.C.S. Shelley Burich stated: “In co-hosting the forum, it ensures that we as Samoans are recognizing what we can do for ourselves. 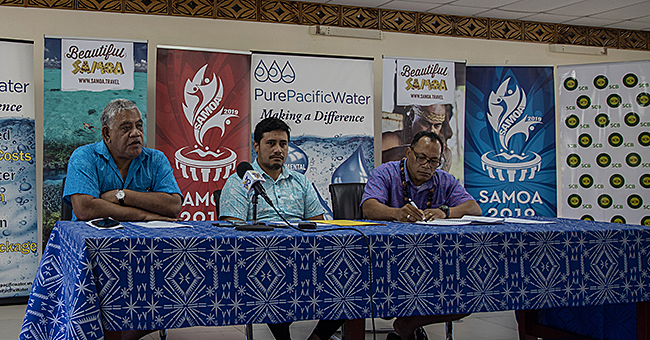 The forum is a great sign that Samoa is taking ownership in pulling together information that will provide a valuable base for the guidelines. “Having guidelines in place recognizes that every palliative patient is different. The formulating of the guidelines also protects the palliative patients, their families and also the providers. The ongoing momentum has meant that now in 2018 there is an increased knowledge amongst the broader health community about what palliative care is and why it is an essential service required for the people of Samoa. There is also increased awareness of the importance of palliative care within government departments, as evidenced by the inclusion of Palliative Care as a topic for discussion at the National Health Service 2017 Annual Symposium and its inclusion in the Ministry of Health National Non Communicable Disease Policy 2017 – 2022. The Samoa Palliative Care Forum is also supported by W.H.O. through the provision of technical assistance. Dr. Rasul Baghirov, Head of W.H.O. Office in Samoa stated: “Palliative care is compassionate care. It is an essential part of what we call people-centred care. W.H.O. at the regional and global level is strongly advocating for services centred on the needs of patients, their families and communities at large. “Second, health care is often defined as a continuum, including services of the full spectrum: promotive, preventive, curative, rehabilitative and palliative. All types of services are important for an equitable well-functioning health system. 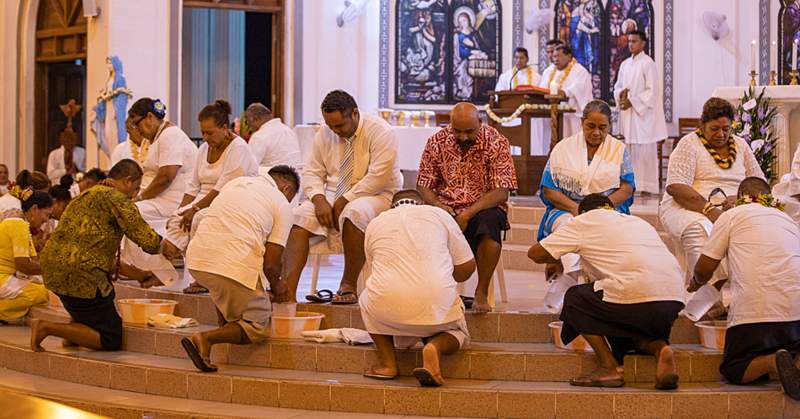 This is reiterated by Leausa: “In Samoa it is regarded as a blessing that we care for our sick, elderly and dying, and we do so with so much pride and care. While different cultures have different approaches to helping people at the end of their lives, all people wish to die with dignity and minimal suffering. “Palliative Care, words that sound so easy yet challenged me to the depth of my soul. I say this because it is not just for your loved one who is terminally ill, but it includes the whole family. If ever there was a time when one’s wedding vows are brought to life ‘in sickness and in health’, well this is it. My mother’s care for my father and my being away from my wife to help look after my father was a true testament of these words, “ Aeau Chris Hazelman, whose father Malcolm Hazelman recently passed, said. The chosen symbol for palliative care is the moso’oi (image above). The moso’oi is a fragile flower which is lovingly used when preparing lolo (scented oil) for fōfō (massage). Or many it is considered “the scent of Samoa”. As a symbol for palliative care it reflects the fragility of life and emotional connection to caring for family.